Happy new year! 2015 is set-up to be one of the best years of my life. Lots of HUGE life moments are on tap: new baby, new house, new car, trading the downtown buzz for hill country living, and more. I’m not really making a specific resolution for the upcoming year, just simply praying, staying positive & keeping my hopes up that all these big life changes go smoothly. I’m feeling so blessed and fortunate to have just recently become a first time mom…it’s almost too much emotion to fathom. 1. Continue using ‘natural’ deodorant: Now, this is an old resolution that’s turned into a 2-year habit, but it’s one I’m compelled to share my experience with… First, let me say that I live in a super-hot climate so if I can make it work in the sweat-inducing Texas heat, you can too. I know it sounds scary, but I really encourage everyone to switch from daily applications of regular antiperspirant to an aluminum-free deodorant. I mean, who really needs to shellac-shut their sweat glands everyday? In the beginning, I kind-of felt like it took some time for my armpits to adjust to ‘breathing’ normally again. Was there more sweat than ever or was it all in my self-conscious head? Either way, winter is the perfect season to begin the transition. There is all kind of scary research linking the chemicals in traditional antiperspirants with breast cancer, Alzheimer’s, and actually increased perspiration, so I’ll spare regurgitating the claims and instead just encourage ya to make the switch. Skip the crystal/rock type (we don’t need to go THAT natural!) 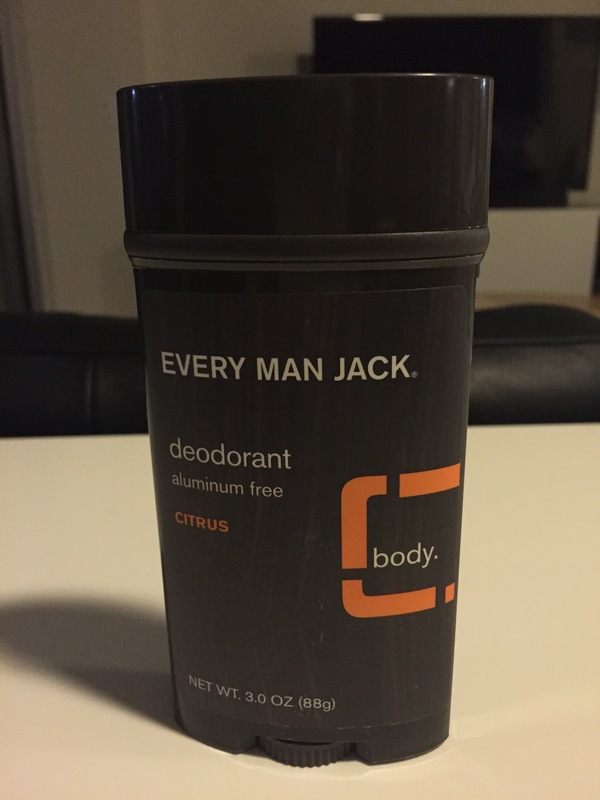 and try out my current fave, Every Man Jack. I switched it up this time around with the Citrus flavor, but Sandalwood is their best scent — so subtle, sophisticated, and woodsy fresh. 2. From the pits to the face: Test out a natural foundation. Don’t get it twisted: I’ll NEVER give up my NARS Orgasam blush or my MAC eyeshadows — organic or not, there are just some beauty products I refuse to give up. However, as that first layer resting up against the skin, I figure foundation is a good area consider switching up. Of all the products I put on my face, foundation covers the most area & is more easily absorbed into pores. 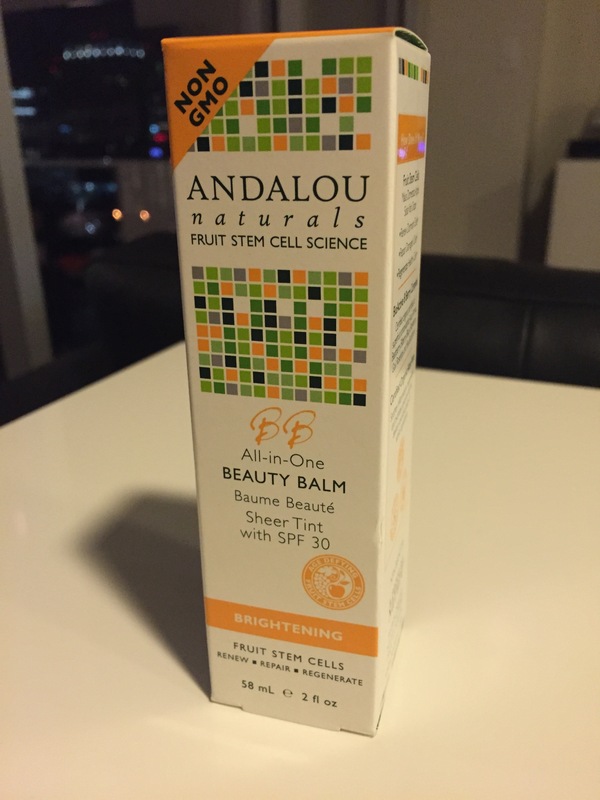 This BB cream by Andalou Naturals is purely a shot in the dark — it was what I needed and on sale, so I went for it. It sounds fun, though, utilizing fruit stem cells to renew, repair, and regenerate. It’s GMO-free, harnesses the power of apple & grape stem cells, superfruit berries for antioxidants, and organic aloe for soothing hydration. I’m excited to try it out! Oh, and if anyone has any first-hand product recommendations in this category, please do share. 3. Next, a product that covers the most square footage: change up the body wash. If we’re talking the importance of what goes on your body, there is nothing else that is exposed to more ground than your body wash, right? 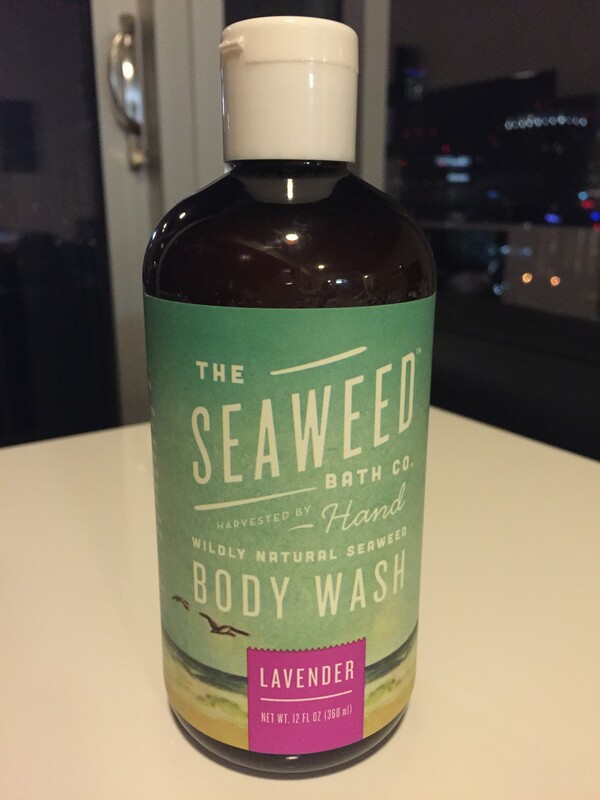 This one by Seaweed Bath Co. smells divine in an oh-so-lifelike Lavender. Basically landed on this one for the scent but it also boasts amazing ingredients like seaweed, coconut oil, neem oil, and spirulina. Who knew SEAWEED (of all things!) is a powerful way to nourish skin? And yeah, of course it’s a special specific type of seaweed that’s like, harvested by hand in Maine…typical Whole Foods, lol! Good luck working on & keeping up your new year’s resolutions, friends. May you have a healthy, happy & whole 2015!